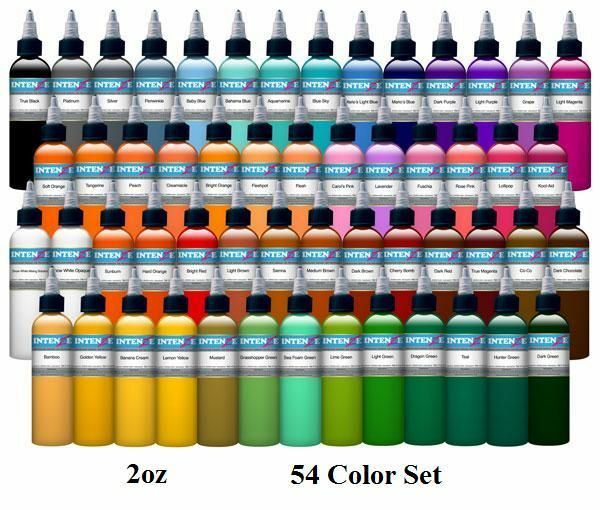 This Intenze 54 Color Set will provide you with the variety you need to perform your everyday tattoo. This listing is for 54 bottles of 2oz tattoo ink. See below for a list of all colors included in the set. If you are looking for a specific color, shop by Color under the Intenze Ink Category.